Here in County Wexford we love festivals and thankfully, there’s no shortage of festivals held in Spring, Summer, Autumn and Winter. 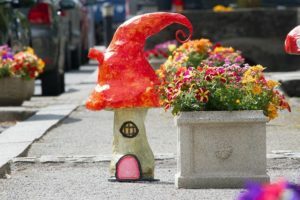 You’re sure to find a County Wexford Festival for you as all interests and ages are catered for from Food, Music and Wellbeing, to Heritage, Culture, Literature and Arts. This ancient Pagan festival celebrates the official arrival of the warmer season and the hope of a good harvest to come, giving insight into the Celtic Ritual’s that played an integral part of Bealtaine. The event kicks off at 2pm with a Blessing and Cleansing of the Cows. Festival goers can then look forward to a Blacksmith Demonstration and insightful story telling of our ancestors from trained Shamanic healer, storyteller and Priestess of Elen, Baya. The Festival of fire is an family friendly festival with children are encouraged to dress up, dance around the May Pole to the Celtic Music in the courtyard, partake in the May Bush workshop and witness the creation of the Wicker God. There is also an opportunity to check out the various stalls with artists showing and trading their unique crafts at the Craft Fare in the gardens. The May Queen Pageant takes place on Monday with the official May Queen crowning taking place at 5pm. The Strawberry, Street Rhythms & Roots festival will be celebrating its 52nd year of the Strawberry Fair, which is the second longest running festival in the country after the ‘Rose of Tralee’. Kicking things off on opening night will be live interviews with the 2019 Strawberry Princesses followed by live outdoor music on the main stage in the Market Square. Throughout the weekend, there will live music, friendly Disney characters and friends as well as entertainment for the children and colourful dancers taking to the streets. There will also be a variety of roots music gigs taking place in different venues throughout the town from until late, This is a Traditional and Cultural festival with something for everyone and catered for all age groups, so come along and join in the fun. Discover the Maritime Gateway at the Wexford Maritime Festival. The annual festival celebrates Wexford’s long and rich maritime history from the Vikings to Commodore John Barry, Father of the American Navy. A family fun festival with lots to do and see for all ages. 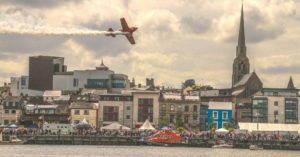 The festival takes place on Wexford Quay, with an impressive lineup of maritime activities, children’s events and entertainment and local food. Visitors can also look forward to an exciting schedule of maritime activities and other events such as water sports, raft races, aerobatic displays, lifeboat displays, model village, live music, BBQ Bash and lots more. You will also have the opportunity to visit the Search and Rescue Village to meet the real life heroes who volunteer there. Meet and chat with the crews of the RNLI, Irish Coast Guard, Air Corps, Irish Army, HSE, Civil Defence, Irish Water Safety, Wexford Marine Watch. The annual Kilmore Quay Seafood festival, now in its 33rd year, takes place on the picturesque fishing village of Kilmore along Ireland’s South East Coast. Enjoy the celebration of Wexford’s rich maritime history and culture while sampling the catch from the local coastlines. This is a family friendly festival with lots of events, activities and entertainment for the younger festival goers. You can look forward to live music, delicious local seafood and the stunning views from the picturesque fishing village. Initially titled the Focal Festival, with Focal in Irish meaning “Word” in 2012, the festival was re-branded as the Wexford Literary Festival in 2014. The Festival initiated its literary Awards programme, to include the Colm Tóibín International Short Story Award, Anthony Cronin International Poetry Award and most recently the Billy Roche International Short Play Award as well as the Eileen Gray Window Display Award. The festival continues to grow each year with participation of established as well as emerging writers across many genres who inspire and entertain attendees of all ages in a casual friendly way. New to the 2019 festival is the ‘Pop up Spoken Word Cafe’ with Open Mic opportunity throughout the town inviting many celebrated and known artists in this field to perform. The festival also hosts a number of children’s writing and art and crafts workshops and events so all ages can get involved. Festival goers can also look forward to a range of awards programmes, readings, workshops, talks and fringe performance and visual arts events on the schedule. 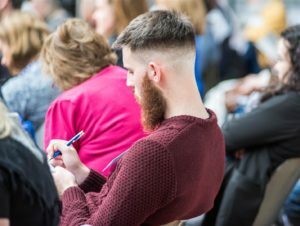 If you are looking to engage with authors and other reading and writing enthusiasts, come discover the unique locations around Enniscorthy and Wexford County at Literary Festival 2019. 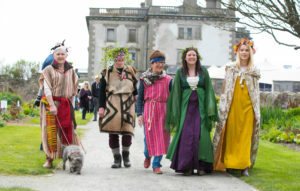 The theme of the 2019 festival is “Irish Myths and Legends”. Kicking off the festivities will be a parade commencing at 8pm cerebrating this year’s theme followed by a Celtic fire dance. Throughout the weekend, festival goers can look forward to Street Entertainers, Face Painting, Traditional Cultural Past Times, Puppetry Workshops as well as a variety of other performances. Take to Market Square to explore the craft fare and diverse food vendors as well as checking out the street performers and buskers. There will also be Monstrous Myths and Ludicrous Legends and on Saturday in St. Aidans Hall at 8pm “Interview with the Vampyre” will take place. WellWex is Wexford’s newest wellbeing festival for those aged 16 years and over. This is an unmissable experience for anyone interested in boosting their physical, mental and emotional health. The full day, interactive programme boasts diverse, fun workouts, inspiring talks, motivational panel discussions, delicious local food, creativity workshops and a chill out zone featuring local and national wellbeing experts. Keep an eye on their website and social media pages for updates on who and what to find at the event. Check out some the amazing Rock ’n’ Roll bands taking to our Outdoor Main Stage & Dance-floor. This year’s lineup will feature some of Rock ‘n’ Roll’s finest Irish and International talent such as “The Revolutionaires”, “The Hicksville Bombers”, “Sharnae May & The Mayhems” and many more to be announced. Our fabulous Food, Drink and Craft Market will be returning with over 80 different vendors. There’s bound to be something that will tickle your taste buds and definitely lots of new flavours to discover and explore. Food lovers can expect a huge range of variety from crackers, cakes and confectionary, jams, chutneys, relishes and sauces to vegan burritos, pizzas, hotdogs and snails. Yes, snails! There will also be a fresh line up of chefs and producers to check out at the FREE Food Marquee. 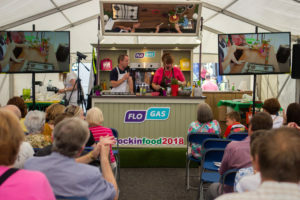 Tune into a cookery demo with some local Wexford chefs such as Paul Hynes of La Cote or our celebrity chef Edward Hayden or catch a food producer talk and tasting. Our schedule keeps building and we will be announcing the official timetable very soon. Our younger festival goers can look forward to lots of fun activities, events and workshops in the Kids Marquee or spend some time at the Kid’s Play Zones or Ferris Wheel. We will be hosting lots of fun events and activities such as bouncy castles, Ancient East Storytelling, Go Paddle Kayaking Sessions, Sword Making as well as a variety of new interactive, hands on workshops we’re sure you’re going to love. keep an eye out for the announcements. Once the little ones are all tired out, the adults can enjoy some of the exclusive Food & Drink Fringe Events that will be happening across the town. Nominated for a Rural Inspiration Award 2019 by the European Network for Rural Development, the Gap Arts Festival is a family-friendly, multi-discipline arts festival, with an open-arms welcome for audiences young and old, and for participants in a wide range of enjoyable, hands-on, art workshops. poetry, acrobatics, puppetry and dance. Celebrating its 4th year, Write by the Sea takes place in the stunning setting of Kilmore Quay with the theme of the 2018 festival being “Coastlines”. This literary festival is a must for all authors, poets, writers, artists or anyone with a keen interest or ambition in literature. Festival attendees can look forward to a line up of popular writers of Irish literature as well as well known authors. Also on offer will be a variety of workshops on crime writing, storytelling, writing for theatre, lyric writing, getting your book published and working with an agent. Be sure to check out the exhibitions and galleries hosted by some of Ireland’s acclaimed artists during the festival. In conjunction with the Write by the sea festival, the Stella Maris Centre hosts a “Room to Write” event on the second Saturday of each month. Wexford’s newest festival, taking place on Wexford Quay and in the Irish National Heritage Park. where we will be building a facade of a Viking village , we will have immersive craft courses in the park , blacksmith , butcher , basket maker , coin striker for the weekend and the Quay area will be ” alive ” with a viking market , storytelling, slave trading etc , the ” big attraction ” will be the arrival of a flotilla of boats which will be leaving the heritage park on the Saturday evening and making their way up to the Quayside where we will ” hopefully ” burn a Viking Boat ?/?large crowds expected at this event . The Eugene O’Neill International Festival of Theatre takes place in the town of New Ross and is a cultural and civic celebration of the strong ties between Ireland and the United States. Eugene O’Neill’s father James, lived in nearby Tinneranny and emigrated from New Ross. Eugene O’Neill famously said, “The one thing that explains more than anything about me is the fact that I’m Irish”. The cultural tie between the two countries will be reinforced by the partnership of the O’Neill Ancestral Trust of New Ross and the Eugene O’Neill Foundation, Tao House, of Danville, California, to produce the international O’Neill festival we are calling “One Festival, Two Countries.” The first half of the festival, the 20th Annual Eugene O’Neill Festival in Danville, will be held throughout September 2019, and the second half, the Eugene O’Neill International Festival of Theatre, will be held in New Ross October 9-13, 2019. When Compton Mackenzie, the renowned novelist and founder of Gramophone magazine, suggested to Tom Walsh that he stage an opera in Wexford, few could have imagined where the idea would lead. But since the first ‘Festival of Music and the Arts’ took place in October 1951, Wexford Festival Opera has grown into one of the world’s leading opera festivals. Over the years the Festival has begun a Massenet revival, introduced new kinds of event (from talks and recitals to afternoon ShortWorks), and established an international reputation both for attracting and for making major stars. The Festival has included many familiar names such as baritone Sergei Leiferkus back in 1983, tenors Juan Diego Floréz and Joseph Calleja and sopranos Mirella Freni, Elizabeth Connell, Angela Meade and mezzo-soprano Daniela Barcellona. Beyond the singing stars, the Festival has also offered a platform to emerging conductors like Vladimir Jurowski and directors like Francesca Zambello. The celebrated American conductor David Agler first appeared at the Festival in 1996 and since taking over as Artistic Director in 2005 he has presided over one of the most exciting phases in the Festival’s history. The old Theatre Royal, which served the Festival for 50 years, has been replaced by Ireland’s first custom-built opera house: a state-of-the-art building with two auditoriums capable of staging ever more ambitious and spectacular productions. With a world-class venue to match its international reputation, the National Opera House is better placed than ever to champion neglected operatic gems, and in 2014 its staging of Foroni’s Cristina, regina di Svezia won Best Re-Discovered Work at the International Opera Awards. The Festival’s success is due in no small part to Wexford itself. This ancient Viking town, nestled in a wonderful setting on the banks of the River Slaney, has a character and charm all its own. Just two hours from Dublin, in a county renowned for its stunning beaches and rebellious history, the town is a key part of what helps to make the Festival unique. Set in a real life castle, this exciting and interactive Christmas experience truly is so much more than just a Santa visit. Enniscorthy Castle is transformed inside and out for the festive season with each room and chamber decorated with its own unique theme. Previous years have seen the Elve’s University, Beauty & the Beast’s Banquet Hall, Frozen rooms featuring Anna and Elsa, Coral Reef, the Grinch’s Layer, 100 Acre Wood and many more. Explore the castle and interact, play, sing and dance with all the friendly Disney characters and friends on this experiential tour, guided by one of Santa’s elves. Ascend the castle until you reach Mrs. Claus’ shop where all the kids and adults alike will receive some tasty treats while they wait for the much anticipated private visit to Santa Claus. Here you can play with the elves, post your Santa letter or simply relax and watch he movie. 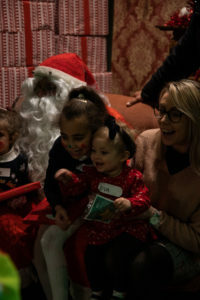 Finally, step inside Santa’s grotto and meet and chat with Santa and his elves, take a group photo with the Magic Selfie Mirror and find out if you’ve made the nice list and receive an early gift from Santa.